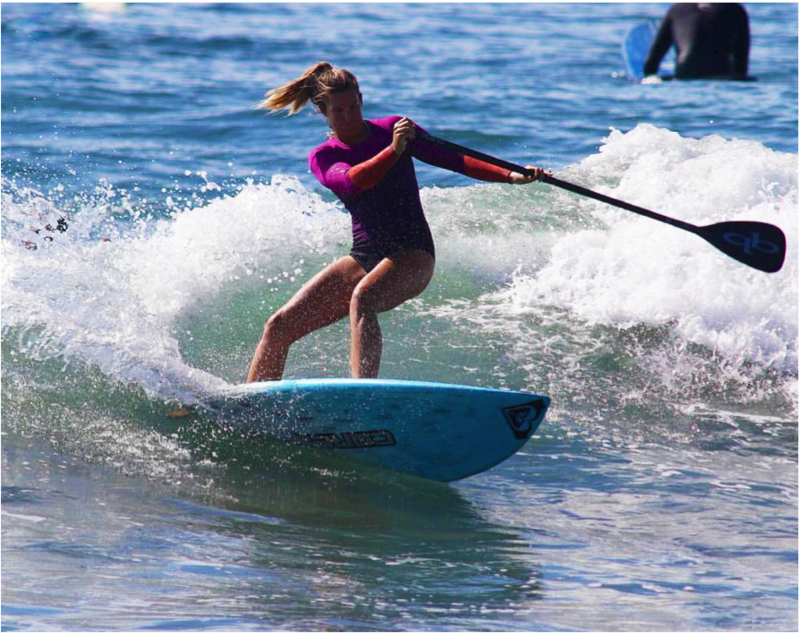 This year has been a successful year for our SUP duo Tarryn & Thomas King. 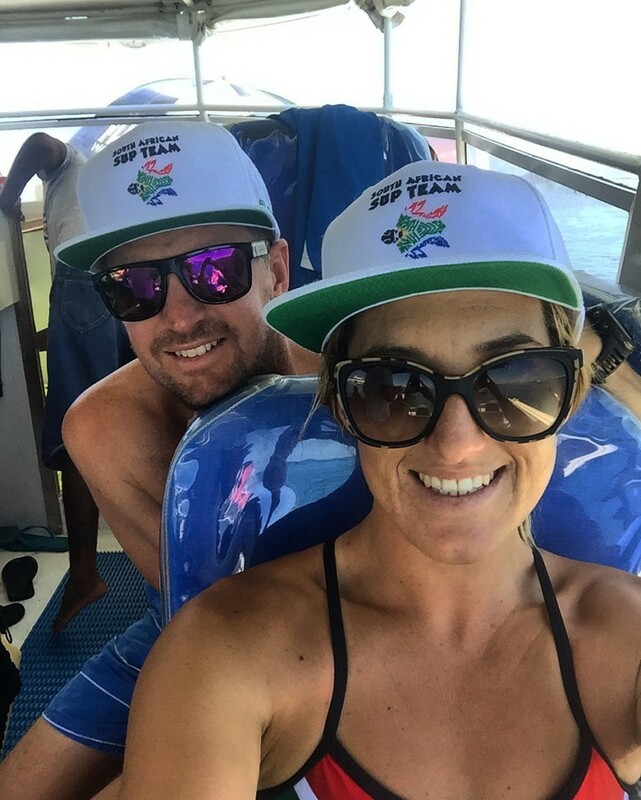 They started off the year with a trip to Hawaii where Tarryn surfed her way to the quarter finals of the Turtle Bay Pro, finishing 5th on the world tour, while Tom made it to round 4 in the men’s event held in solid waves at the legendary Sunset. 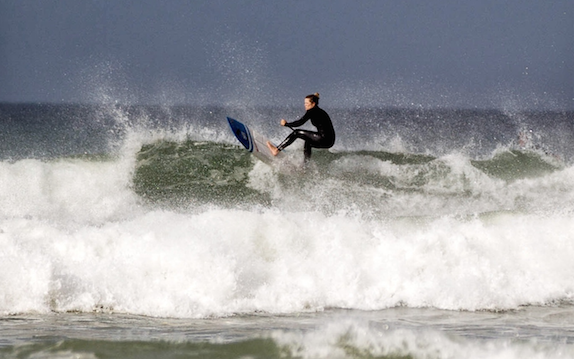 After spending a month on the Northshore it was homeward bound and back to the grindstone. 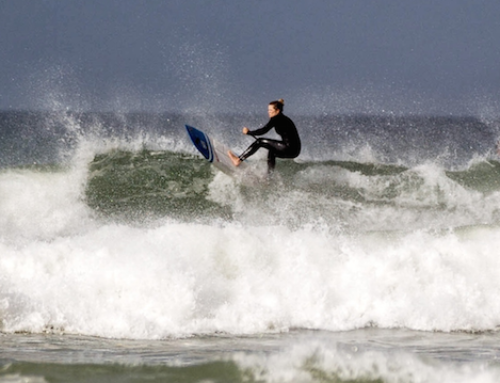 While at home they competed in a number of local events including The Coreban Summer Series (with Tarryn winning the waveriding), and The South African Longboard Championships (where Tarryn won the South African title and Tom finished strong in 4th place). 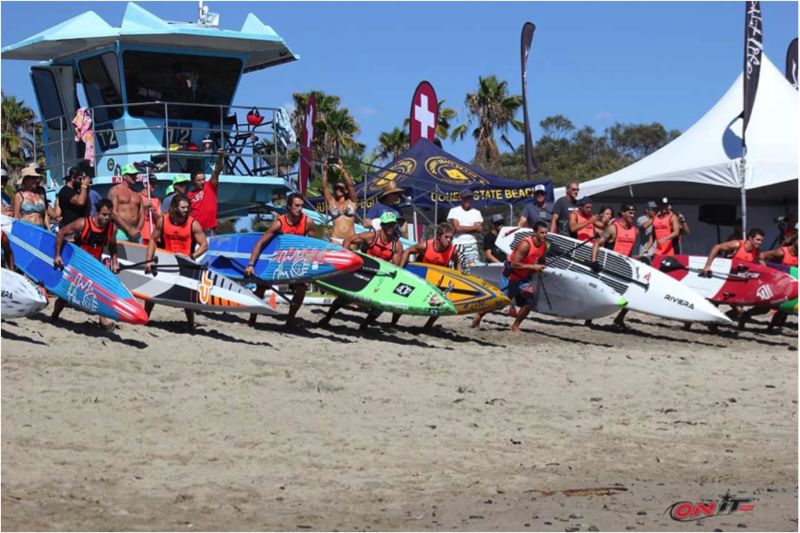 Just as soon as they were home, they were off again and onto the next competition. 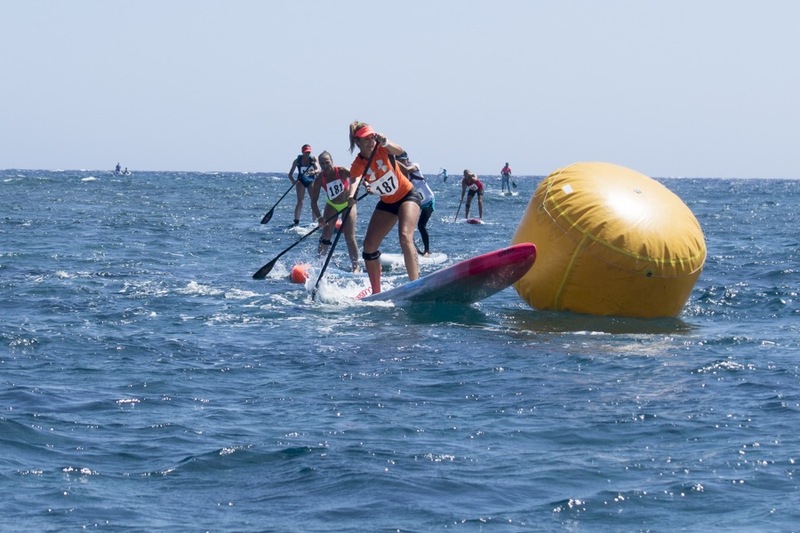 This time it was to the Pacific Paddle Games in California, one of the biggest SUP races in the world. 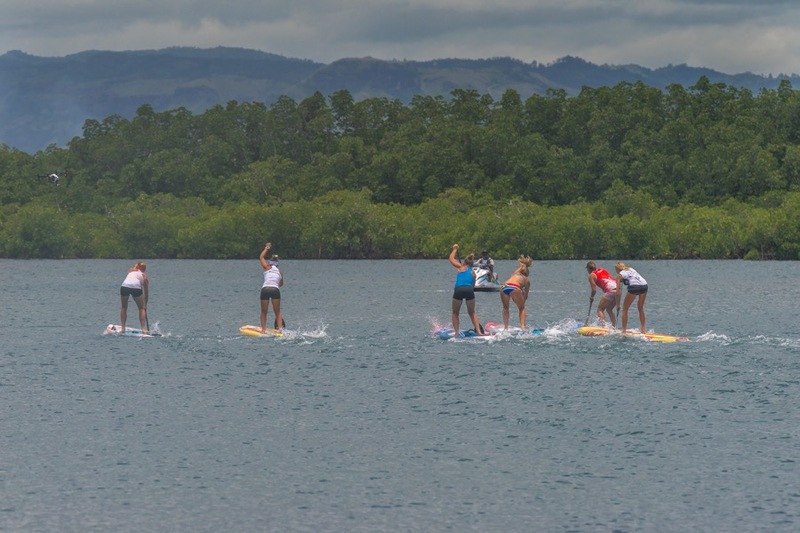 Here the contestants battle each other in and out of the surf. 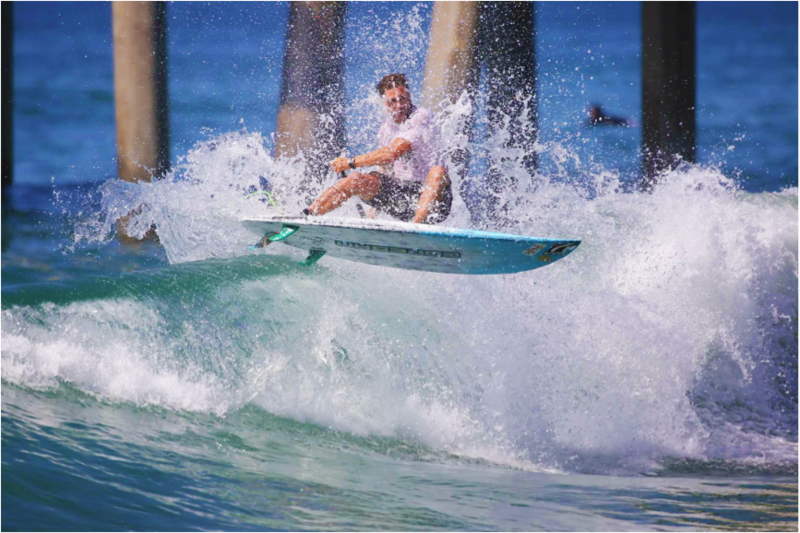 The contest takes place at the Doheny state beach, which is renowned for great surf and fairly big swell, so you can imagine the carnage with 50+ SUP’s in big swell. 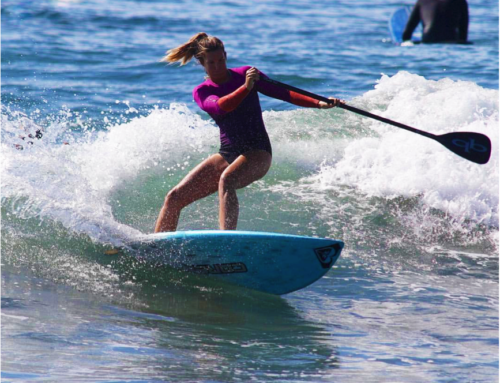 Tarryn made the women’s final and finished 11th overall. Tom did brilliantly in the racing, albeit his secondary passion after waveriding. 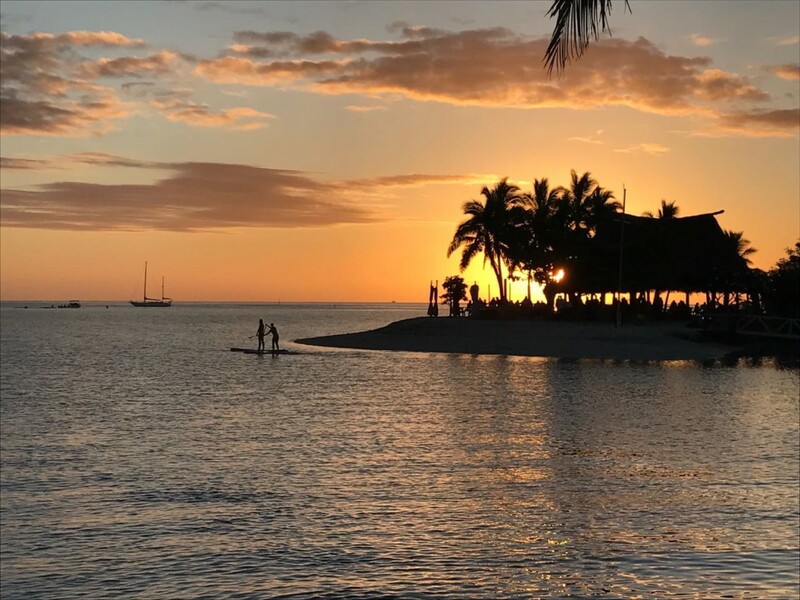 Last but not least, the SA team were getting ready for their final trip of the year – ISA World Standup Paddleboard Champs in Fiji. 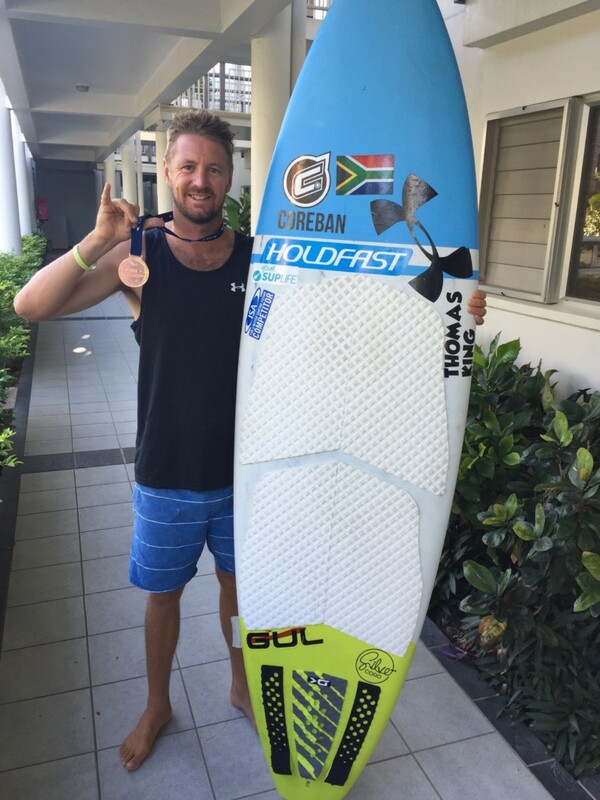 This was followed by the WSL – World Longboard Champs held in China (yes there are waves in China J ), Fiji was the big one for the SA Team riders as they had been training and working very hard towards this contest all year. 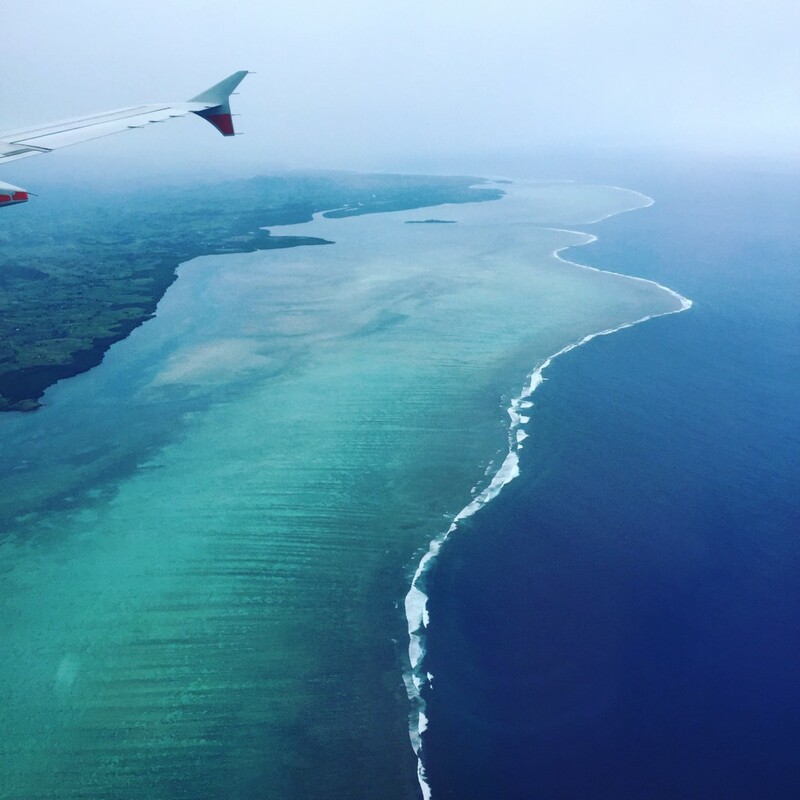 Tom competed in the SUP waveriding which took place at the legendary Cloudbreak. 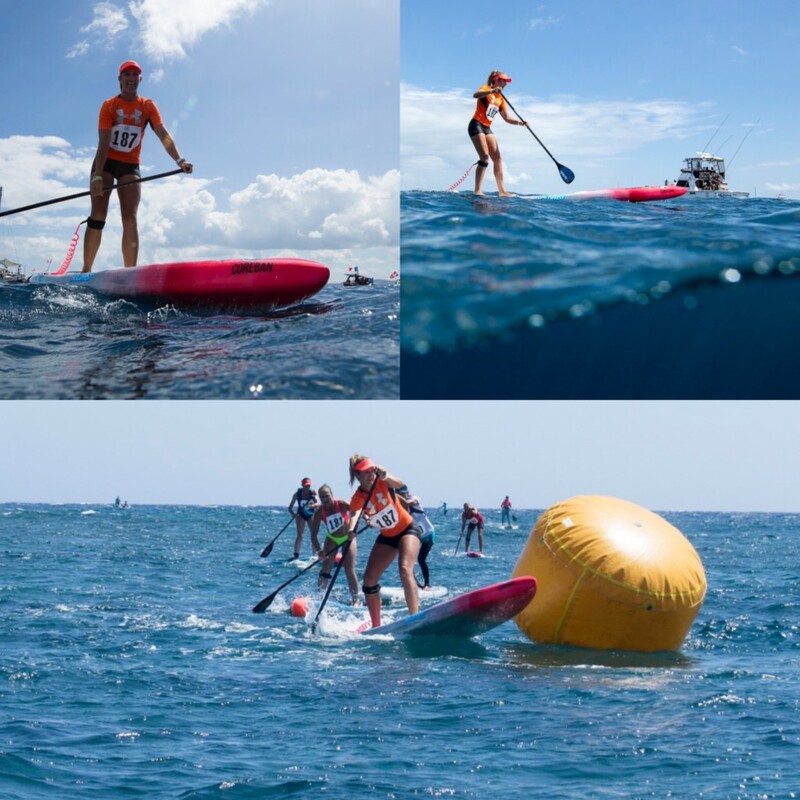 Tarryn competed in the 200m sprints along with the 3.5km technical paddle race. 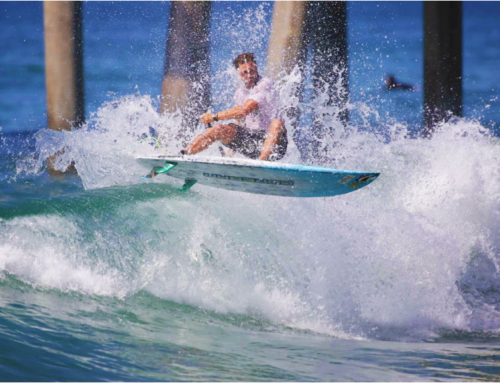 A race at Cloudbreak was sure to be one very exciting race! 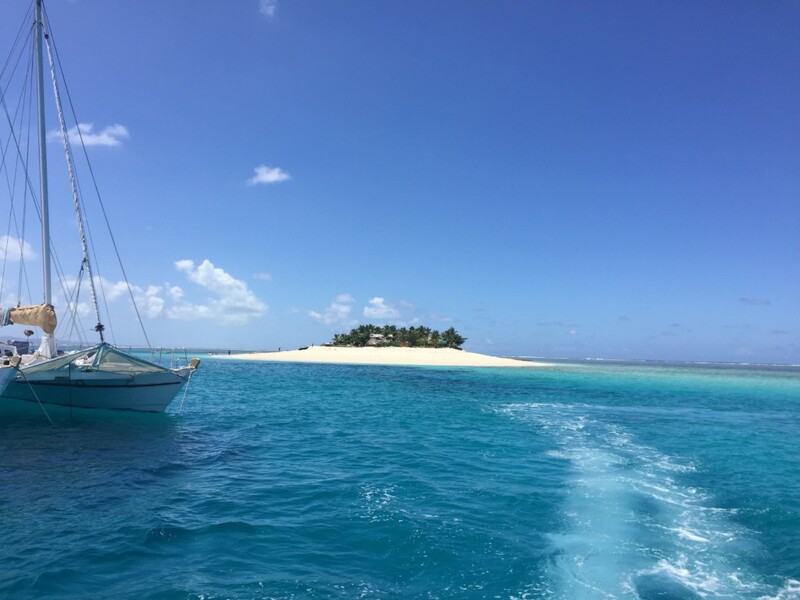 Fortunately there was no swell J Fiji ended extremely well for our talented couple. Tom got the highest score of the entire event and placed 4th in the world. Tarryn made the final of the Technical. She was exceptional from the start, pulling away from the pack early in the race and finished with a strong 7th place. 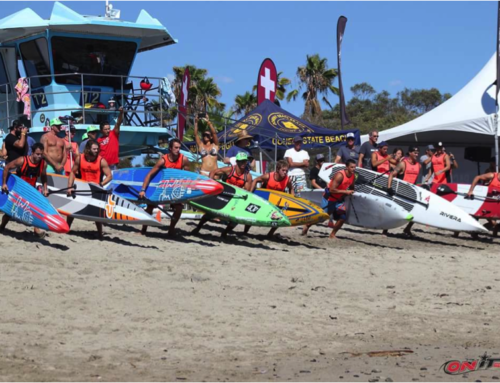 The 200M sprints are new and exciting addition at the ISA games. Tarryn flew through her sprint heats and made the final with ease. We all watched back home with bated breath hoping that Tarryn would obtain a podium finish as this was an exceptionally close race. Tarryn made us very proud and earned herself a copper medal with 4th place. Team South Africa had a great performance and placed 7th overall.